Bring home your favorite characters from Middle-earth! The Lord of the Rings Merry Brandybuck Pop! Vinyl Figure #528 steps right off the silver screen of Peter Jackson's The Lord of the Rings trilogy and into that familiar Funko format. 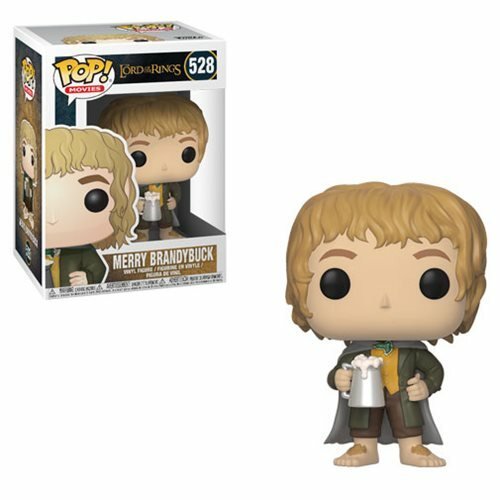 The Lord of the Rings Merry Brandybuck Pop! Vinyl Figure #528 measures approximately 3 3/4-inches tall and comes packaged in a window display box.